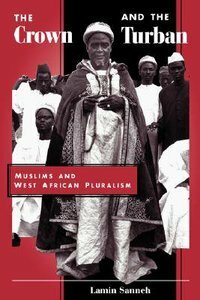 This fascinating study explores the "clash of civilizations" between the secular government and Muslim traditions in West Africa, appraising the challenge of separating the administration of the state from the deeply held beliefs of the Islamic peoples of the region. Lamin Sanneh, awarded Senegal's highest national honor for his scholarly work, places Islam within the context of Africa's receptive and pluralist environment, explores the religious and historical background of present-day conflicts, and shows that achieving solutions will depend equally upon Christian and Muslim theological resources.As Sanneh explains, Muslims took advantage of Africa's religious tolerance to begin a process of change that culminated in a unified Islamic view of religion, state, and society. European colonialism and missionary efforts both bolstered and complicated the development of this faith as a result of the pressures secularism brought to bear on Islamic tradition. Sanneh points out that perhaps ironically, due to the same tolerance of differences, Christianity was able to flourish in parts of Africa, and its followers more readily supported the Western secular idea of the separation of church and state.Offering a comprehensive evaluation of the key points of colonial and interreligious friction, Sanneh explores the effects of conflict of belief on religious, educational, and political institutions in the region. The book will be essential reading for students of comparative religion, African, missions, and Islam. About "Crown and the Turban"
Lamin Sanneh is Professor of History and D. Willis James Professor of World Christianity, Yale University. Relations, With Special Reference To Africa.